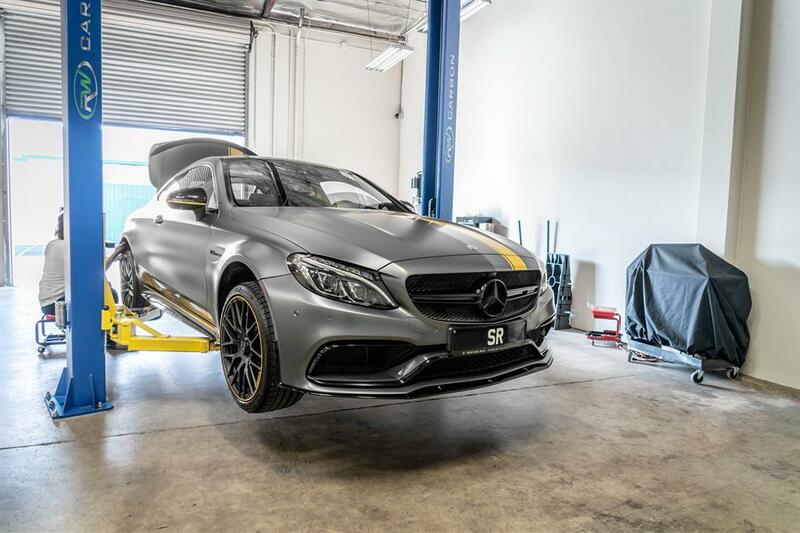 RW Carbon is the leading source in affordable and high quality carbon fiber aero parts and accessories for BMW and Mercedes. To improve customer relations we are now offering installation services for all our local enthusiests. We will install any product we sell, however we are unable to paint any products, so bumper would need to be painted prior to us installing them. RW Carbon sincerely declines to install any other brand of carbon fiber products. We are confident in the quality and fitment of our parts and accessories. However, with the fitment and quality of other carbon fiber parts on the decline we are not confident we can install other CF parts with lower quality standards then our own. We have a certified technician that does all the installs for us at our facility in Anaheim California. If you have any questions that are not answered by the sections below please get in contact with a carbon fiber specialist at RW Carbon. Call them at 714.328.4406 or email at info@rwcarbon.com. Our hourly rate at RW Carbon is $100/hour. Below are pricing estimates and ranges on installation jobs. Please note these are only estimates and the actual price may vary depending on product style and vehicle make and model. For an exact quote and to setup an appointment please contact us at info@rwcarbon.com or 714.328.4406. For all other parts and accessories that are not listed above place contact us for a price quote. If you are setting up an appointment to have several pieces installed, we can discount the installation prices. To setup an appointment and get an exact quote on an installation please call or email us at 714.328.4406 or info@rwcarbon.com.